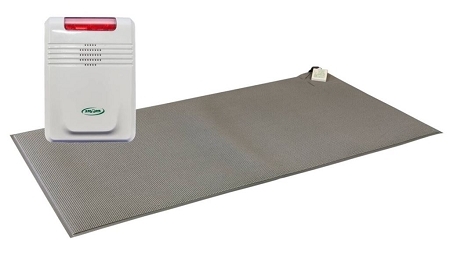 The Smart Caregiver Cordless Alarm and Floor Pad alerts the caregiver when the user applies pressure to the patented floor sensor mat. Caregivers will find this pre-programmed wireless home monitoring system helpful for preventing falls. The Smart Caregiver Cordless Alarm and Floor Pad system is wireless so there are no cords connecting the alarm and the floor pad. 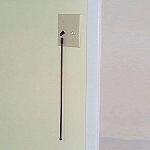 This affordable and effective cord-free wireless monitoring system has a range up to 300 feet. 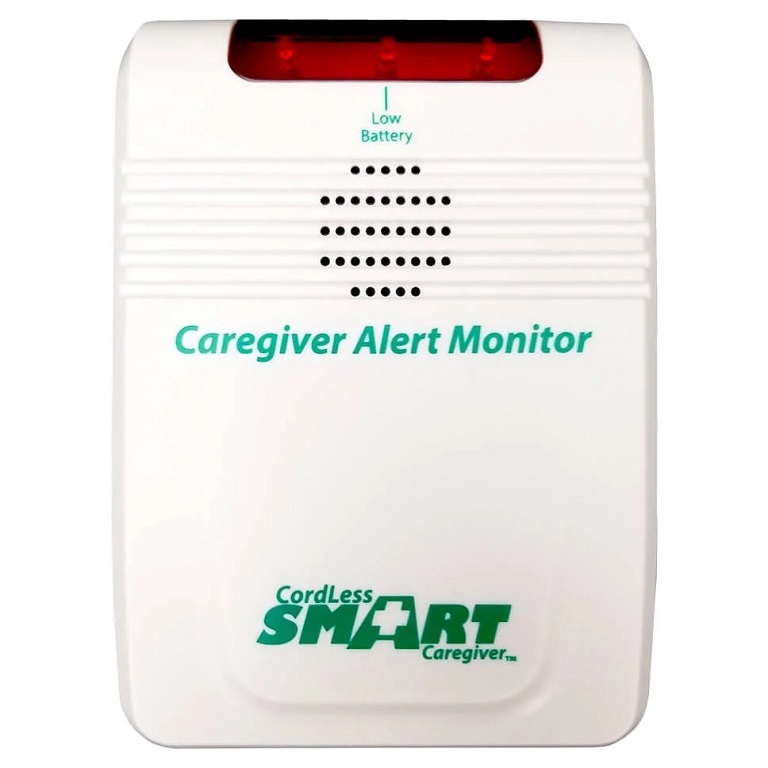 The caregiver can place the monitor in another room so that there is no alarm going off in the room with the user. The Smart Caregiver 433EC Economy Cordless Alarm can be mounted away from the user's room, removing in-room alarm noise and reducing entanglements and tripping hazards. 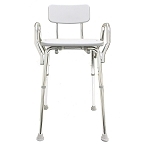 The alarm has a low, medium, high volume adjustment, and a gentle chime alert that offers a quieter fall prevention alert. 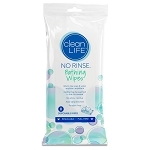 The alarm is simple-to-use and works with all 433 Cordless Sensor Pads & Mats, Nurse Call Buttons, and Motion Sensors. The 433EC monitor is light-weight and can be paired with up to six (6) wireless components to serve as a portable caregiver alert. 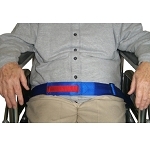 The Smart Caregiver Cordless Floor Pad measures 24 inches wide, 36 inches long. This heavy duty, industrial weight floor mat has beveled edges and a non-slip grip. The floor sensor pad should be placed beside the bed or in a doorway. 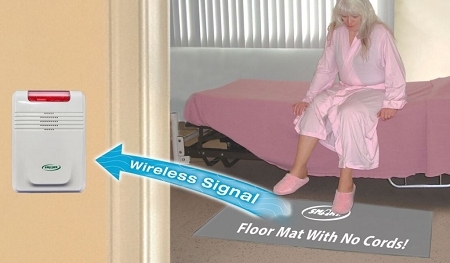 When the user gets out of bed or tries to leave the room and applies pressure to the mat, the signal is sent to the monitor to alert the caregiver. The Smart Caregiver Cordless Alarm and Floor Pad is programmed, ready to use out of the box, and includes batteries for the monitor. 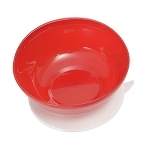 Caregivers will find the system helpful for preventing falls. 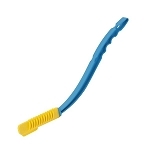 Includes: 433EC Economy Cordless Monitor, FMT05C 24 inch wide, 36 inch long Cordless Floor Pad with 1 year warranty, batteries, retail packaging.